What’s more miraculous than a bed of daisies blooming in your front yard or a fresh bouquet of roses from your main man? The vibrant colors and shapes from all types of flowers make them one of life’s miracles. It’s too bad they die so quickly. At AllFreeSewing, we grieve as much as you do over flowers’ short lives; that’s why we gathered some of our favorite fabric flower tutorials and put them into one eBook. Tired of sulking over the fleeting lives of flowers, we’re pleased to present Fabulous Fabric Flower Tutorials: 7 Ways to Learn How to Make Fabric Flowers. From the designers who know how to create flowers with their eyes closed come these seven fabric flower tutorials. Best of all, you can enjoy these fabric flower tutorials at no expense. 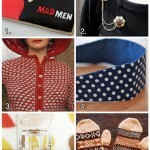 Follow these tutorials from start to finish with excellent instructions and beautiful photographs from the designers themselves. 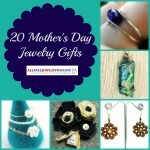 Seven sets of instructions will yield seven fabric flowers of various style and size. Use these beautiful blossoms in your home decor or as accessories; the choice is entirely yours. Have we whet your appetite for these fabric flower tutorials yet? For a sample of what you’ll find in Fabulous Fabric Flower Tutorials: 7 Ways to Learn How to Make Fabric Flowers, read on. Obi Belt Tutorial – Part of why the Obi Belt Tutorial makes it into the Fabulous Fabric Flower Tutorials: 7 Ways to Learn How to Make Fabric Flowers eBook is because it’s a two-in-one project. Designer Tamara from Etcetorize cleverly walks you through the steps to sewing a flower out of taffeta and making a belt. These are two essential lessons that any aspiring sewer should know. Bonus tips and tricks such as singeing fabric are delivered in these absolutely accessible instructions. What are you waiting for? 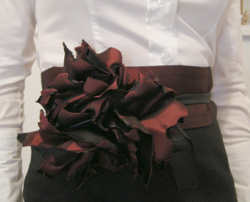 Find out how to create this blooming belt right here. Denim Flower Corsage – If you’re the type that fancies some more bloom for your buck when it comes to home decor, skip the accessories and see what Fabulous Fabric Tutorials has to offer by way of domestic design. 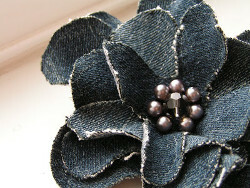 Take this Denim Flower Corsage project from Sachiko from Tea Rose Home. Apart from the overall loveliness of this fab flower, we were attracted by the upcycling aspect that this project involves. Thanks to this sewing project there’s no need to mourn over those too-tight jeans anymore. Follow this fabric flower tutorial on how to make a denim corsage and watch your duckling-esk jeans turn into a swan-like flower corsage that you can proudly display on a purse, sweater, or anything in need of a little glam. Trust us, this isn’t just a flowery speech. 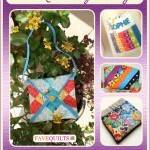 Fabulous Fabric Flower Tutorials: 7 Ways to Learn How to Make Fabric Flowers is an eBook that will remain a favorite on your digital bookshelf for years to come. 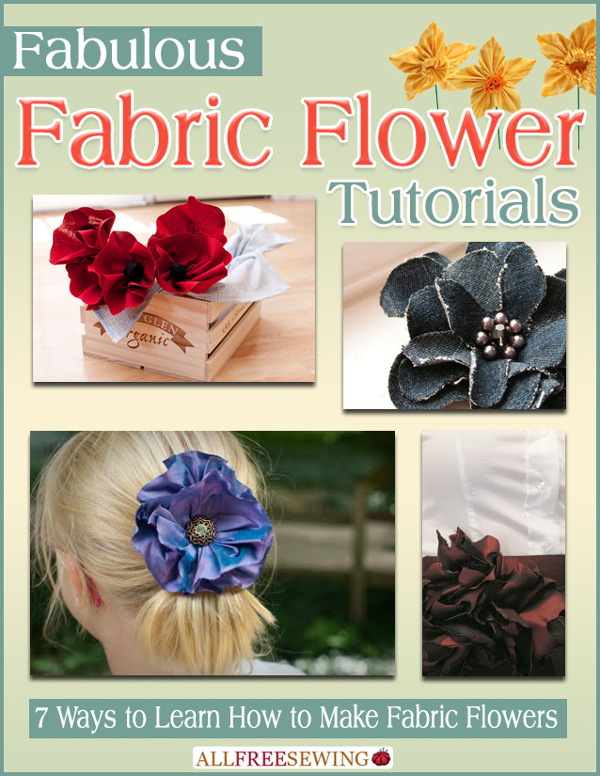 Find five more free tutorials on how to make a fabric flower right here.